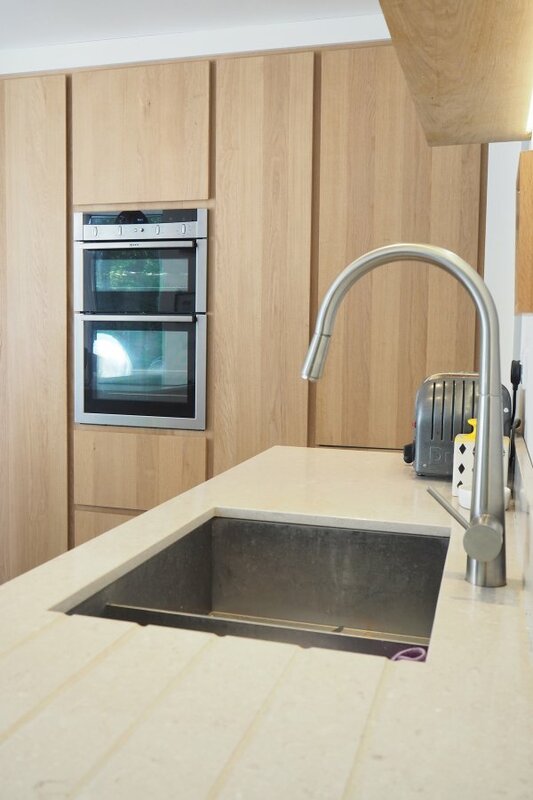 Created as with many of our kitchens, as a completely bespoke project this fairly compact kitchen is beautifully crafted from oak and given a contemporary treatment with its handleless style. 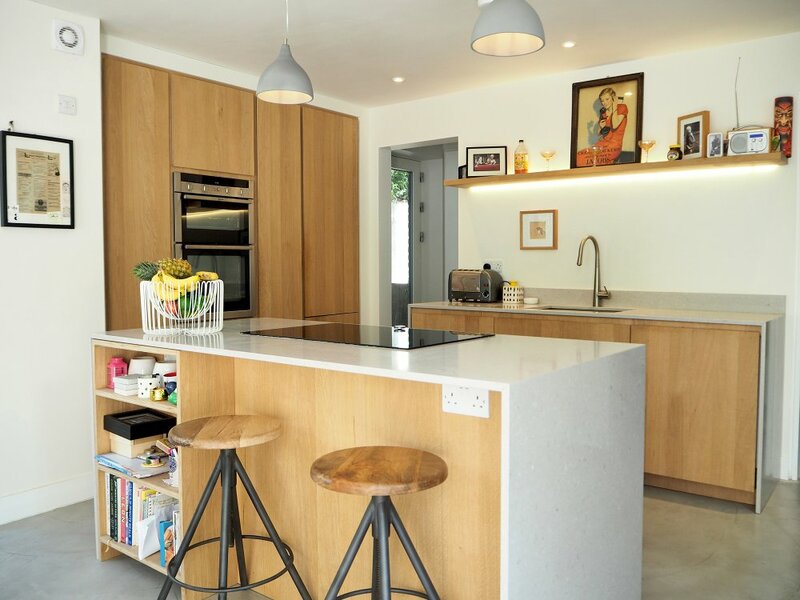 The two pale grey quartz worktops continue down either side of the units, encasing them and giving a modern feel to this space, also supported by the accompanying pared back shelving unit and handleless cabinets. 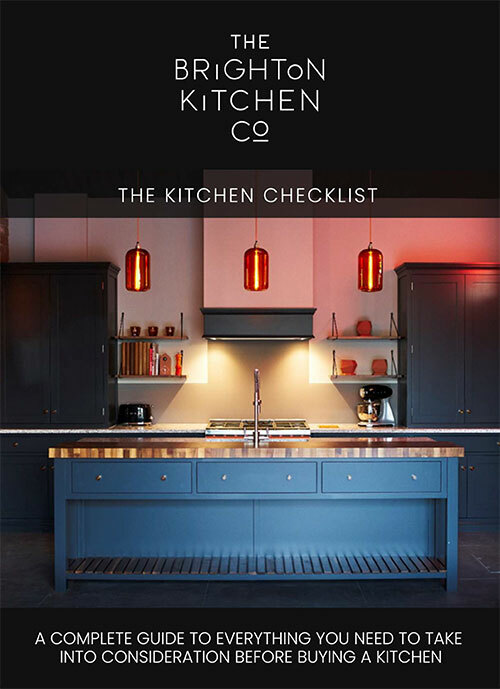 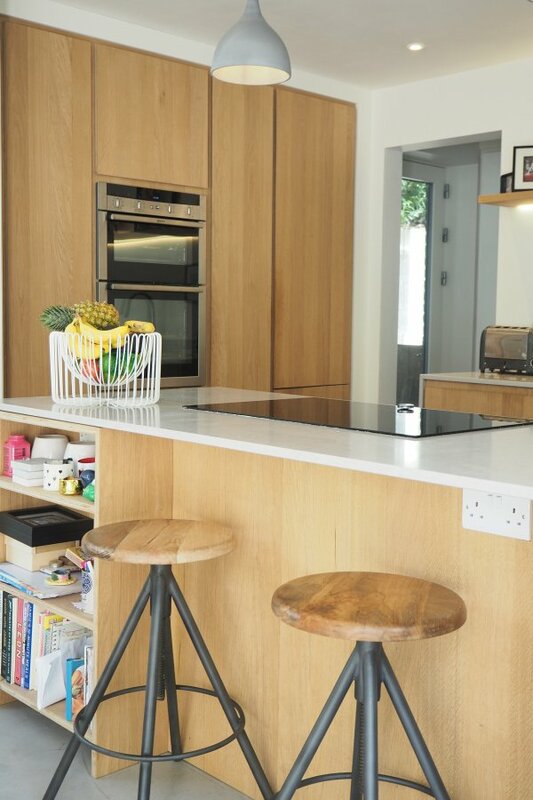 This kitchen is all about clean lines and celebrating the warmth of natural oak wood. 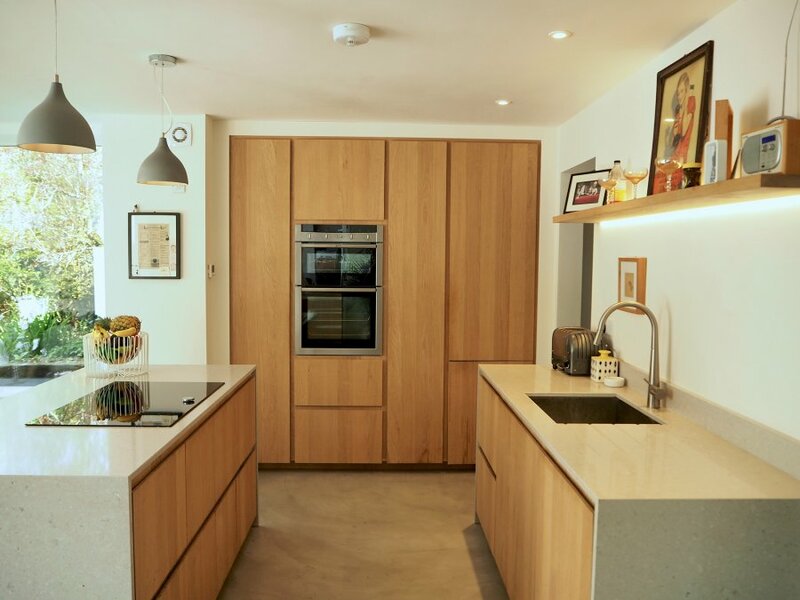 It’s a contemporary space, but expressed in an accessible way that appeals to those who have one foot in the traditional.